The Ronald Reagan UCLA Medical Center and Mattel Children’s Hospital in Westwood. Photo by John Schreiber. 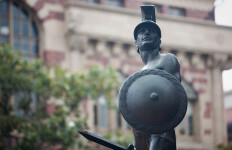 A small group of unionized nurses gathered outside Ronald Reagan UCLA Medical Center Wednesday saying they want more training and guidelines for handling potential Ebola patients. The gathering was one of three protests organized by the California Nurses Association and National Nurses United held over two days at University of California medical centers. Rallies were held Tuesday at UC San Diego and UC San Francisco. Participants said they want to ensure nurses and others are protected, noting that two nurses who treated an Ebola patient in Dallas wound up contracting the disease. “It could be any one of us, because there is no guarantee where a patient will walk in,” nurse Lucia Brandt told ABC7. “We don’t want to have our communities and our families at risk either,” she said. 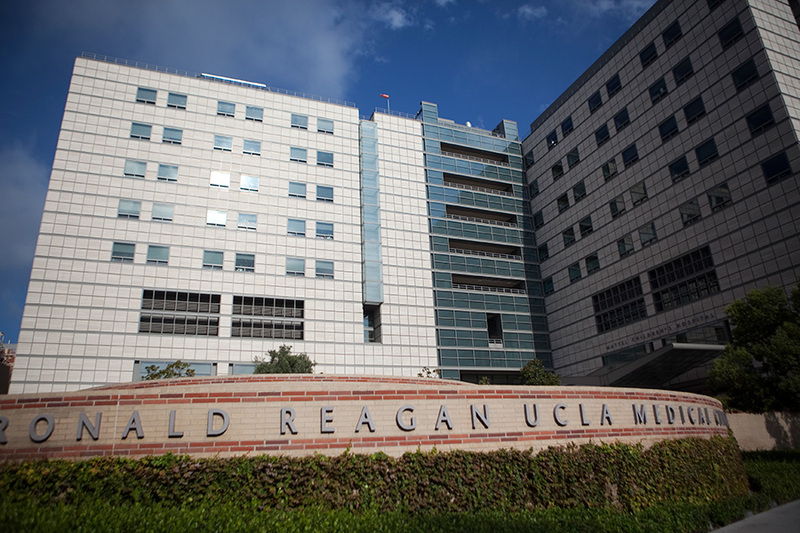 Doctors and staff members at Ronald Reagan UCLA Medical Center in Westwood recently took part in an Ebola-preparedness drill to ensure they are properly trained to respond to a case of the potentially deadly virus. The union nurses said they want a comprehensive set of guidelines in case for all workers at the hospital. They noted, however, that they would not back away from treating a patient.